Bible Journaling supplies make great gift ideas. whether you are trying to find a gift for someone else or picking a few last things to add to the list of what you want here are a few suggestions. 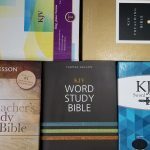 Since I’m not relisting anything featured in a previous Christmas list posts, Bible Journaling Gifts for Christmas 2017 and Journaling Bibles for Christmas (from 2016), be sure to check them out for more suggestions. Several of the links included below are affiliate links. The only thing you really need for Bible journaling is a good pen and either a notebook or a journaling Bible. 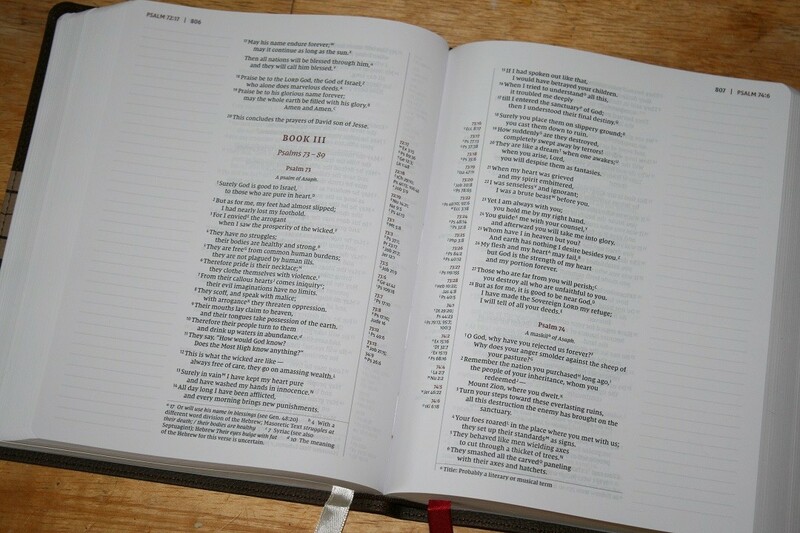 The Journal the Word Reference Bible is great for journaling with words or pictures. Featuring the new Comfort Print text it’s available in three translations, KJV, NKJV, and NIV. Each translation has several different covers to choose from and is available in regular or large print so it should be easy to find one that would suit almost anyone on your list. The references and footnotes mean it’s a good carrying or all-purpose Bible as well a good journaling Bible. This a beautiful Bible that includes line-art, devotionals, memory verses, and character studies. The ESV My Creative Bible for Girls was designed for young girls but is sure to appeal to all the girls in your life regardless of age (as long as they like pink). I love all the style of the artwork and that it was all done specifically for this Bible. 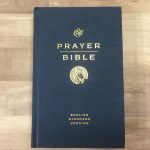 Tyndale added another great Bible to their Inspire Bible line this year. 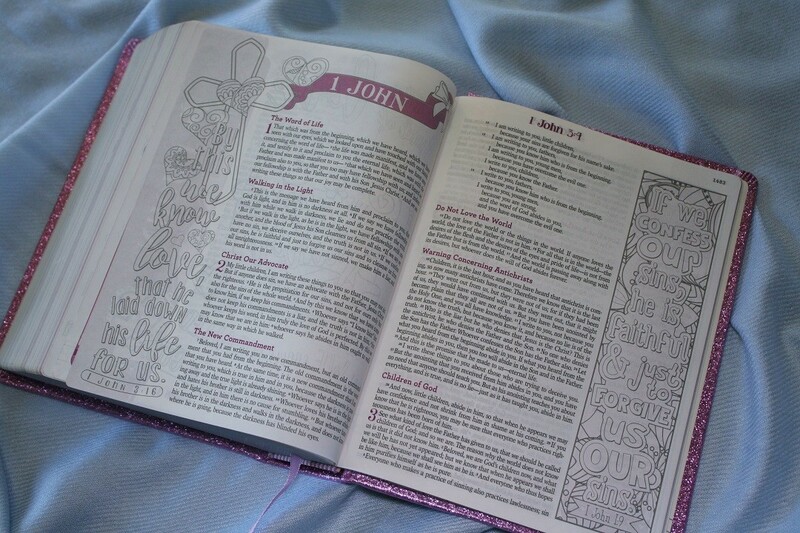 The Inspire for Girls Bible includes devotionals, fun facts, and journaling prompts along with the line-art. 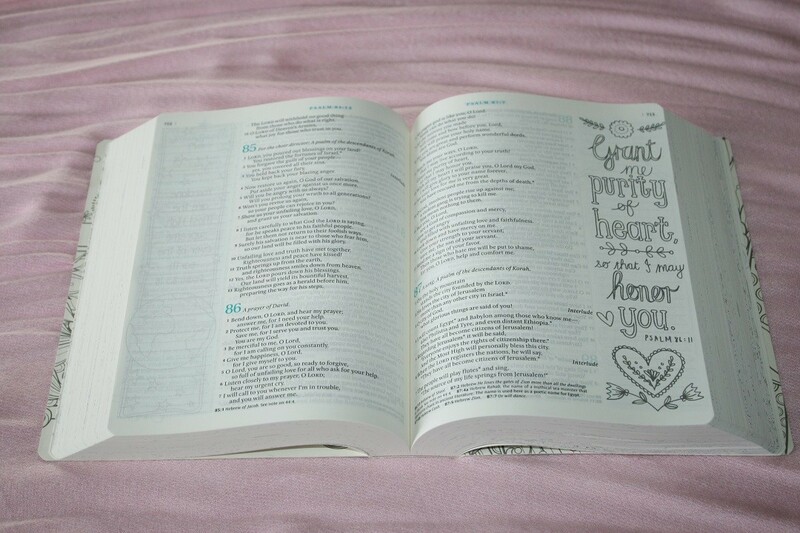 Some of the illustrations are from the Inspire Bible, some are from the Inspire Praise Bible, and some were done specifically for this Bible which makes it an excellent choice for those young ladies who want a Bible that’s part like a Bible mom (or someone else) has and part all their own. 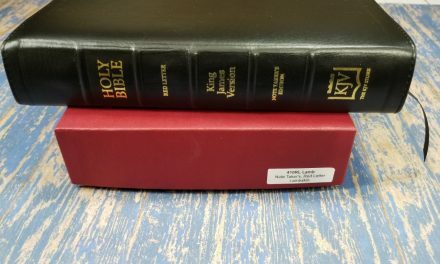 Divided into 19 separate books the ESV Scripture Journal: New Testament Boxed Set contains the entire text of the New Testament across from mostly blank pages for you to journal on. It features the stunning gold artwork from the ESV Illuminated Bible, Art Journaling Edition and covers in a rainbow of muted colors with gold artwork on them as well. The books are available individually as well as in the boxed set. This Bible has to be mentioned but if you don’t already have one you are most likely out of luck. They are out of stock everywhere I know of online including Dayspring (due back in stock February 2019) though there is a small chance a local Bible bookstore might still have a copy for sale. It’s a gorgeous Bible, designed specifically for art journaling, that’s spiral bound with really thick paper and huge 3 and 3/4 inch wide margins. It’s large enough that most won’t find it easy to carry but it’s a perfect Bible for journaling. I managed to get one at Lifeway’s Black Friday sale with birthday money I’d saved for journaling supplies but have decided to delay the review until next year closer to it’s re-release. I have a set of both of these and love them. Colored pencils are absolutely a best first art supply for nervous journalers and the more experienced among us can usually use a good new set (particularly if it has new colors, and good carrying case, or our old pencils are getting kind of short). I have the 48 pencil set in the canister (review coming next week). The gel pens do show through a bit on some Bible paper but you shouldn’t have any bleed through unless you overwork a single area (which happens with any pens). I love the color selection in my small set of glitter and metallic pens and am seriously considering getting the larger set as soon as my first pen from this set runs dry. 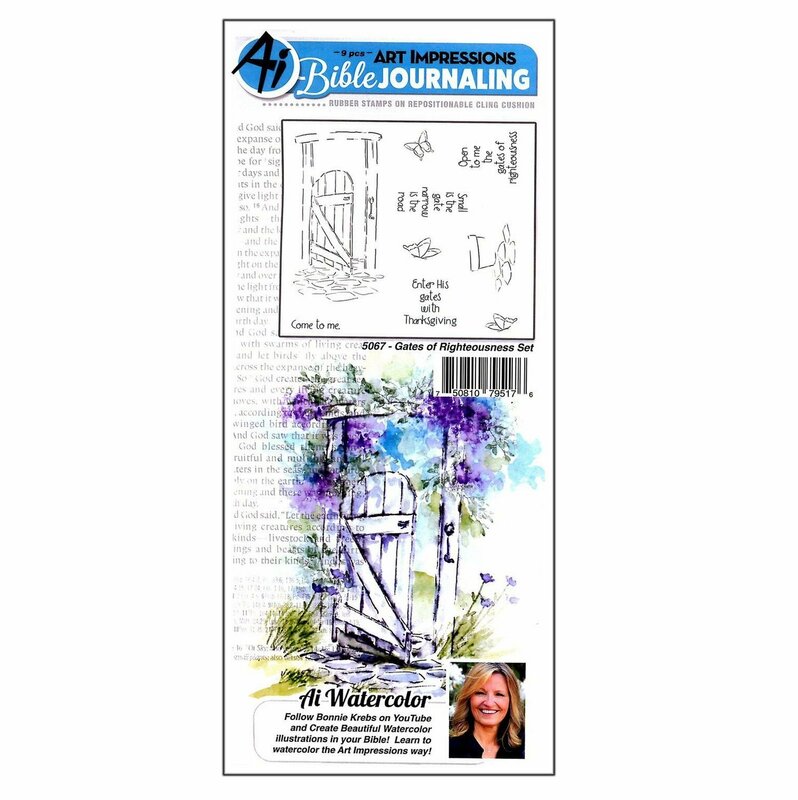 Art Impressions recently released several new sets of their popular watercolor stamps designed for Bible journaling. Featuring Biblical themes and sized for journaling Bible margins they have 5 different themed sets, 2 bible foliage sets, a set of alphabet stamps, and a set of alphabet dies. There are videos by Bonnie Krebbs or Jann Gray with how-tos for specific projects using these already available to watch. I don’t have any of the stamp sets yet but they are at the top of my Christmas list. 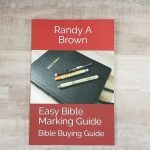 Amazon and many other online retailers don’t have the Bible journaling stamps in yet (though they do have a nice selection of other AI watercolor stamps) so I recommend visiting a local Bible or craft site or checking out Illuminated Journaling’s stamping products. Almost everyone who Bible journals has heard of Dayspring and Illustrated Faith. Their journaling Bible might already be sold out but they still have a lot of nice Christmas gift ideas. I particularly recommend either the 100 Days of Bible Promises Devotional Journal or the 100 Days of Grace & Gratitude Devotional Journal. Besides having 3 months of great devotionals these books are beautifully laid out, and nice thick paper, and include space for journaling directly in the book. Journaling kits always make great gifts as well. What journaler wouldn’t like a set of coordinated art supplies. Dayspring has beginners kits, art supply kits and kits that include devotional material along with art supplies. 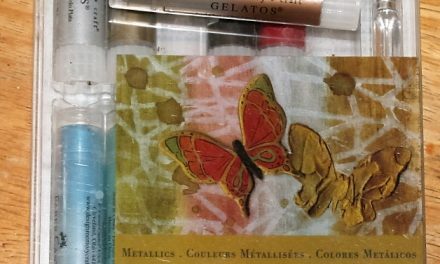 If the person you are buying for is unsure of their art skills (or just always looking for new ideas or techniques) I highly recommend checking out Jann Gray’s site Illuminated Journaling. 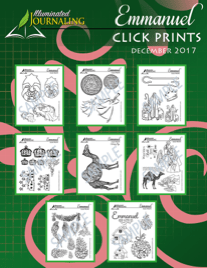 She created the One and Dones traceable artwork for Bible Journaling available at many stores (and her website) but also has a new set of printable artwork, called Click Prints, available individually or at a discount if you get a subscription. She also has a large variety of online classes to purchase that would make a great gift for those who don’t have classes nearby to attend. (I have loved every one of Jann’s classes or workshops I’ve ever done. Are there any Bibles, books, or other supplies you recommend I didn’t mention? Did you add to your wish list after reading this article? Please let me know in the comments. Nice one!=) Did you knew that in 2014, the Jerusalem Nano Bible company released the world’s smallest Bible in the form of a microchip. Its dimensions are 4.76 x 4.76 millimeters. The mini-Bible contains only 27 books in the New Testament, written in Greek. The size of each letter is 0.18 microns; you can only read the text with a microscope. The microchip is made of silicon wafer. “We want to release more such microchips so that each person can have such a Bible with them. Because it is the smallest Bible in the world … which can even be inserted into a watch or some kind of jewelry dyeing, ”said David Almog, a spokesman for the Jerusalem Nano Bible. According to the company, they plan to create a similar microchip of the Old Testament.